When I found an old circular table on the porch outside my new apartment, I had to begin a new project. First steps? Sand it down, peel off its acrylic top, and spray paint it black. Under the acrylic top was laminate, and some of it had come off from the removal of the top layer. A mosaic sounded like a great way to fix a bad top while learning something new. So off to Home Depot for some tiles and a hammer! 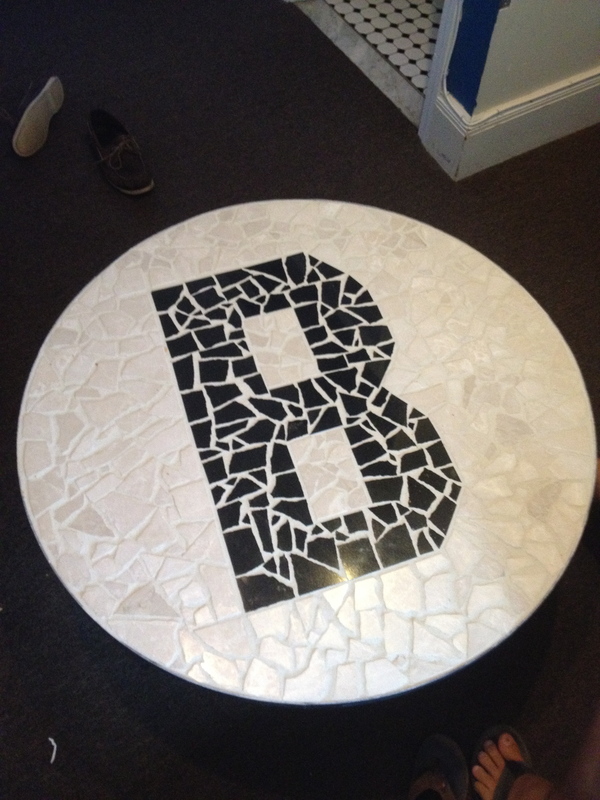 The black pieces come from granite tile and the cream pieces are broken marble. 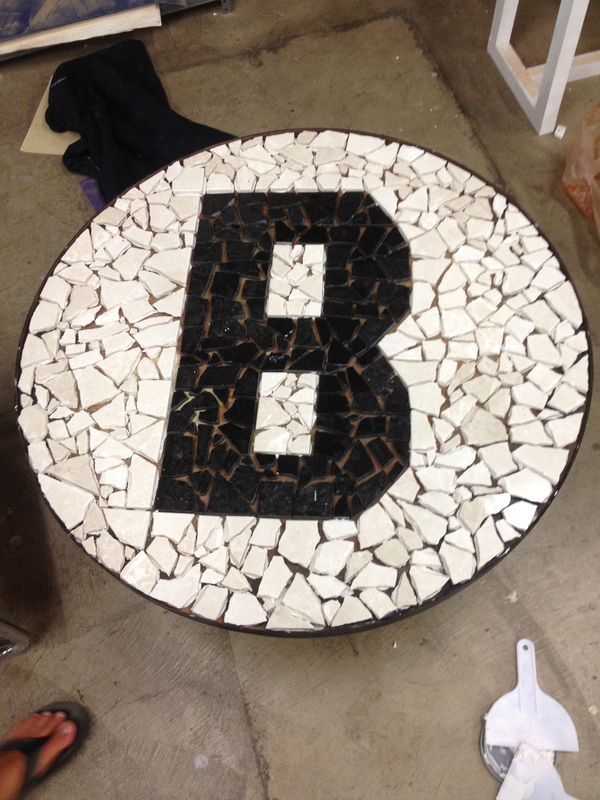 I decided on a Brown “B” because it was not too complicated for my first tile project, but had some challenging aspects. It has simple, clean lines and horizontally symmetrical — this could be tricky with the arbitrarily shapes of the tile. I also chose the cream and black for the color scheme mainly for the texture and glossiness of the marble and granite. 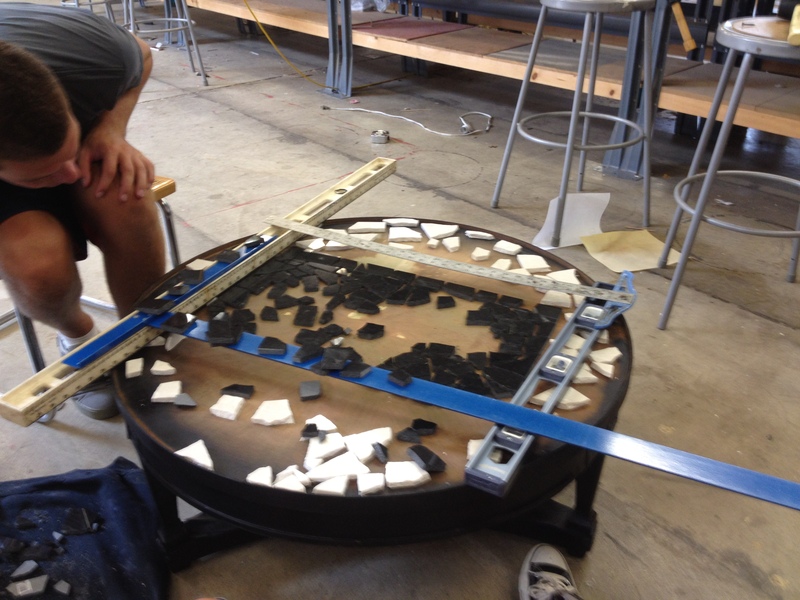 In order to make an area to lay the tiles, I cut strips of masonite, spray painted them black, and used a nail gun to attach them to the table. I found the thickness of the masonite from the thickness of the tabletop plus the thickness of the tile.